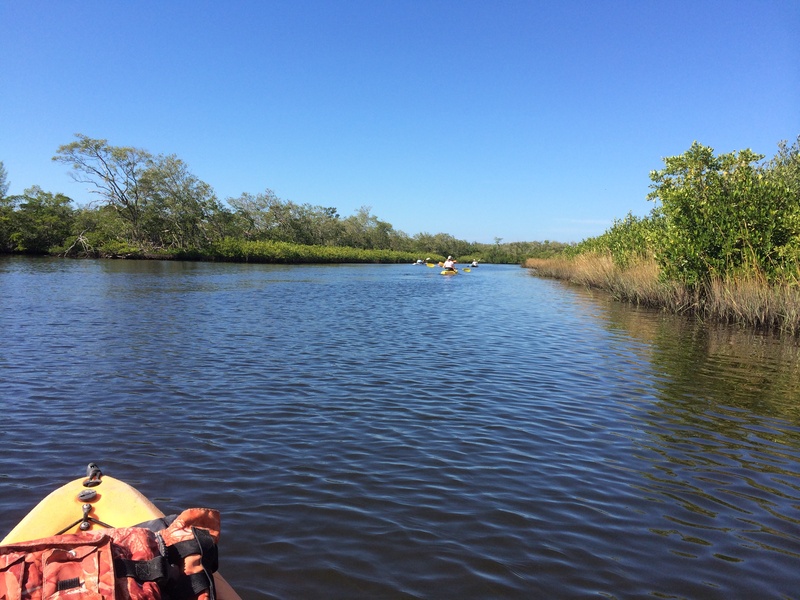 Last weekend the weather was perfect and we decided to go for a kayak ride at the Robinson Preserve in Bradenton, FL. 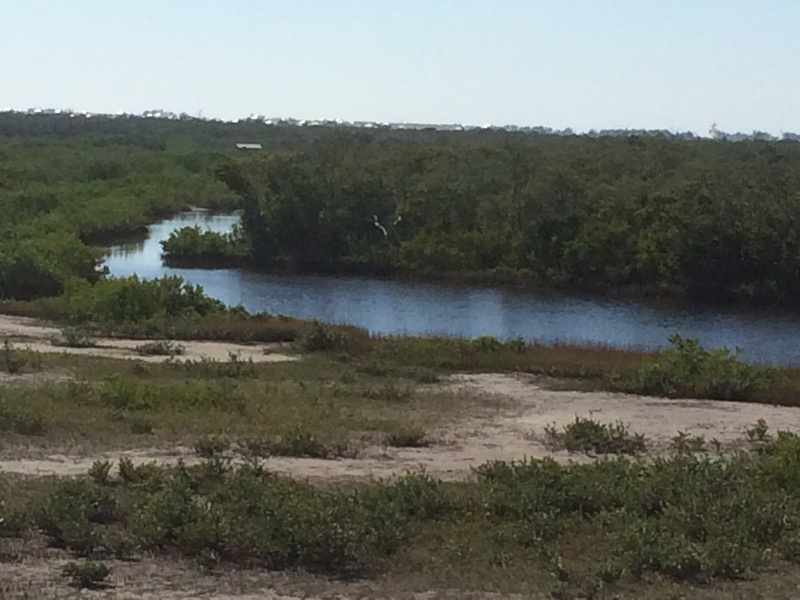 This 487-acre preserve has undergone an incredible transformation from disturbed farmland to coastal and wetland habitats. 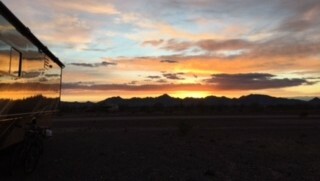 To restore the land to its natural state, the Natural Resources Department has partnered with a number of state and local agencies. The restoration process is nearly finished! To date, numerous exotic invasive plants have been removed, effectively opening up the land for native plants to flourish. 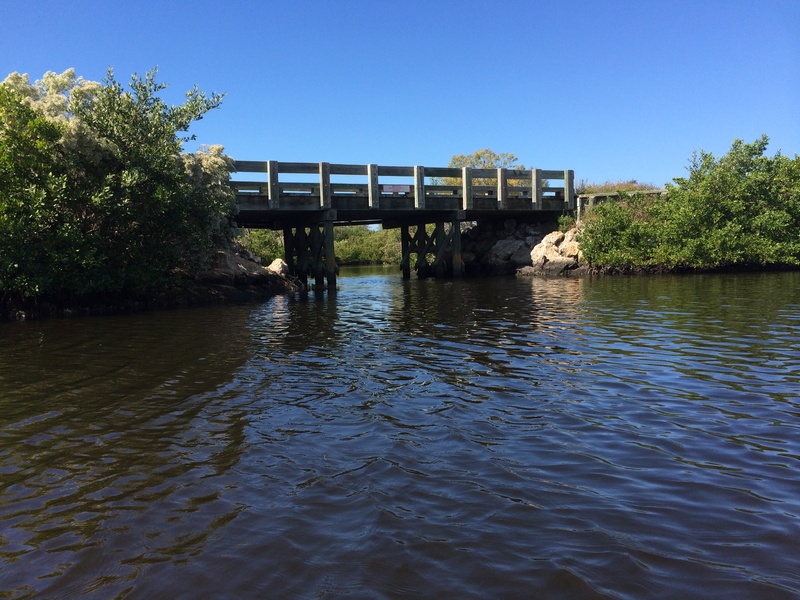 The preserve’s new waterway system will help restore the tidal flow within the coastal habitats. 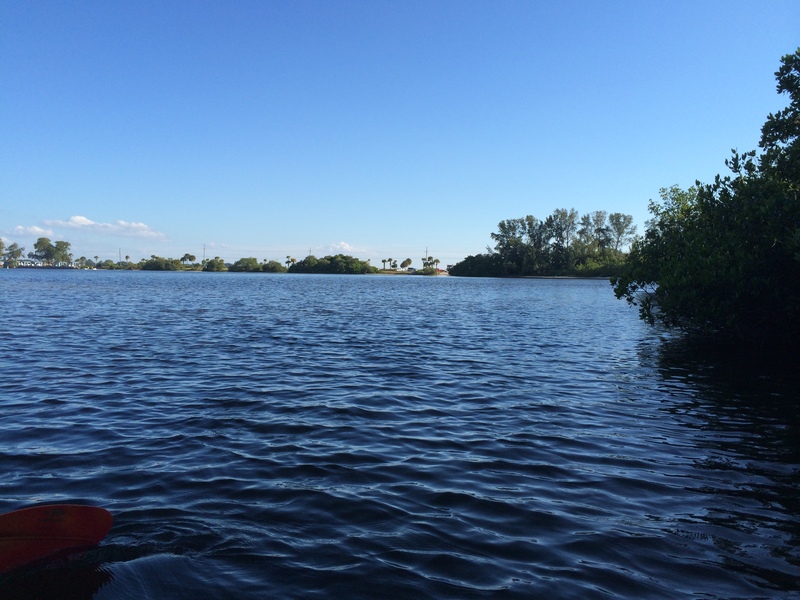 Robinson Preserve also features numerous recreational opportunities for the community. 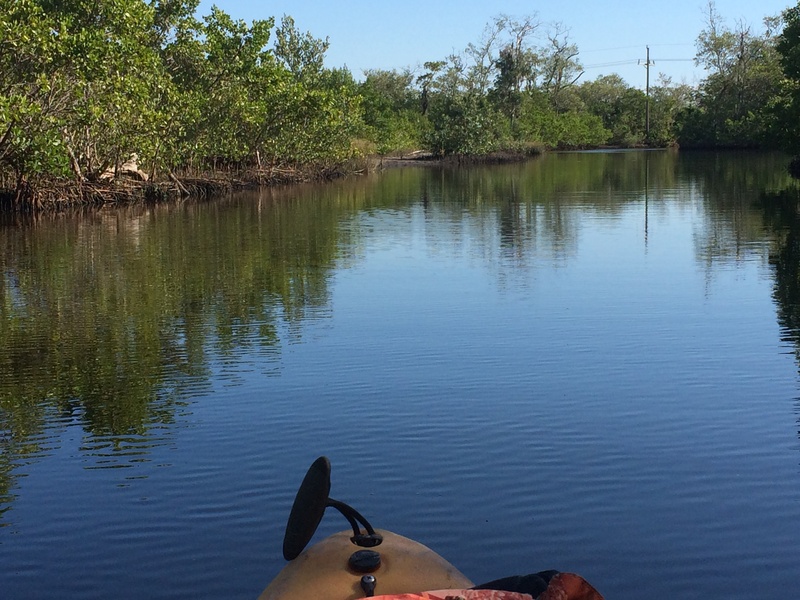 Resources for low-impact environmental activities include hiking and biking trails and a canoe/kayak launch. 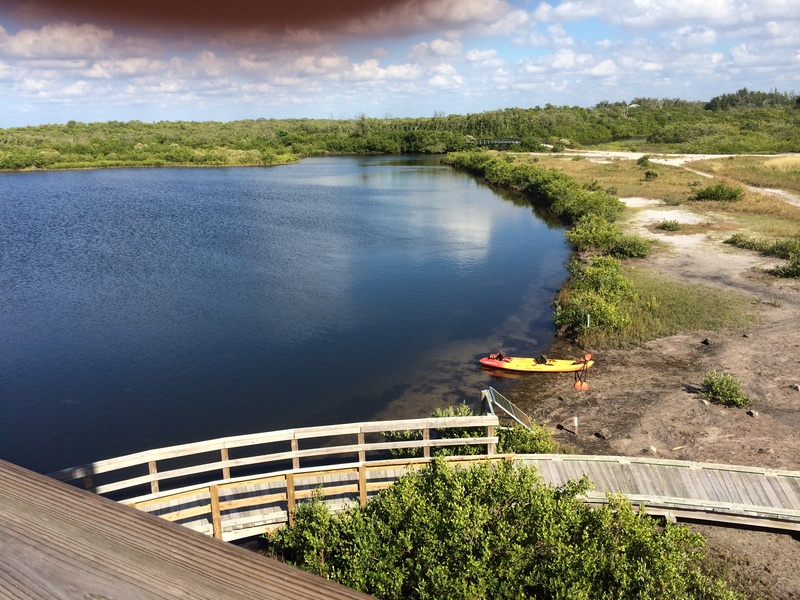 Additional amenities include observation towers and platforms, picnic areas, and a visitors center. This bus is always on the side of the road. Great advertisement! 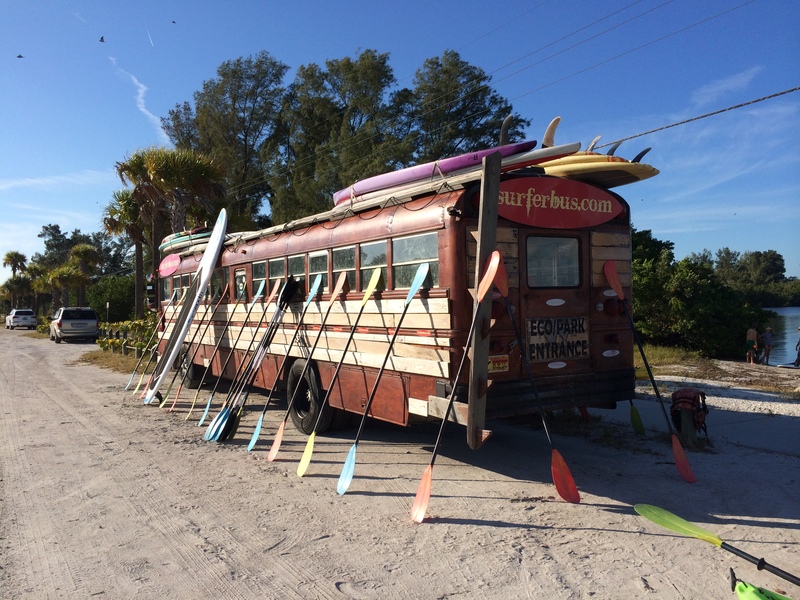 We rented our kayak from Surferbus.com. Yes we know, as somebody already mentioned it works better in the water! 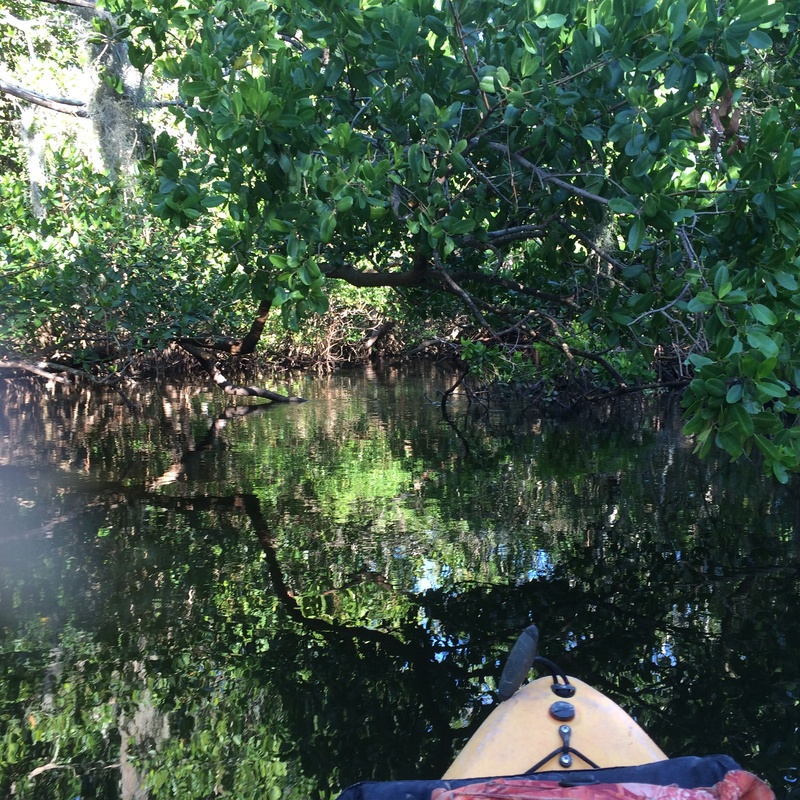 We entered the preserve through a section of Mangroves. 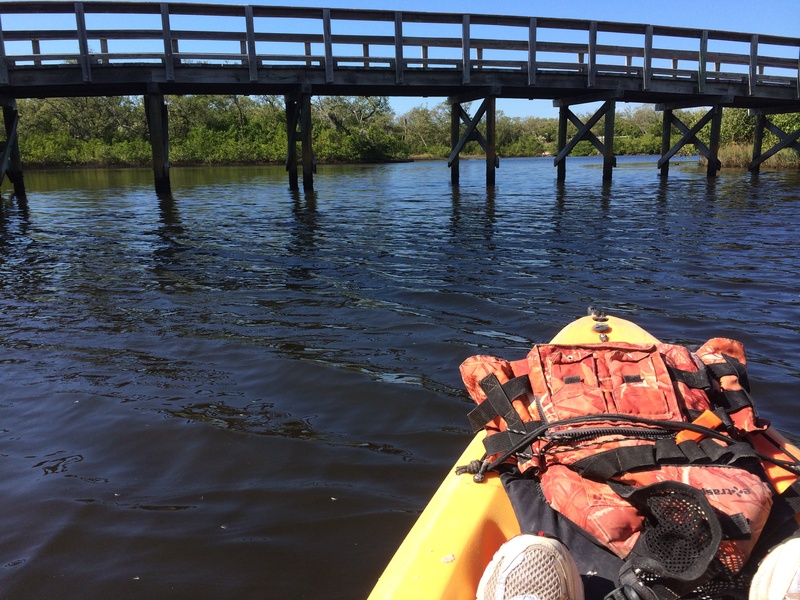 The Blueways Trails connect to the Manatee River, Perico Bayou, and Palma Sola Bay, comprising over 3 miles of internal trails. 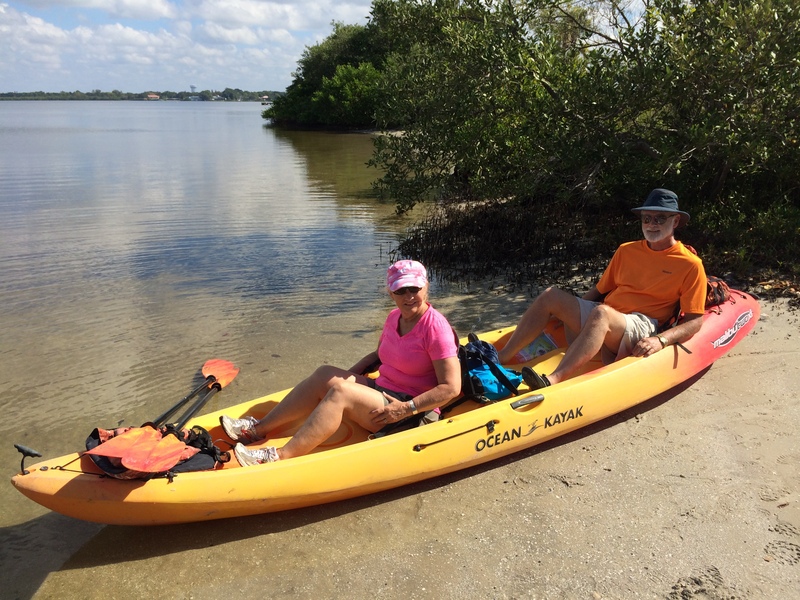 A 5-mile roundtrip adventure would start at the launch and meander through the preserve to Palma Sola Bay and back. This is one of four bridges we had to go under to reach the tower. Our goal for the day. Our goal is in sight! Eileen took this and the next picture from the top of the tower. 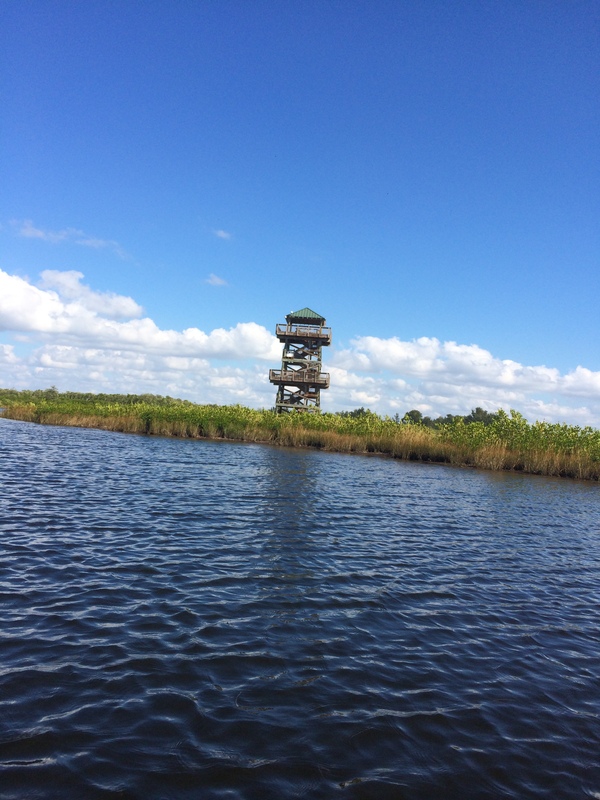 The tower can be reached by Kayak, canoe, walking or biking. There were so many mullet jumping out of the water that we thought they were going to jump in the boat. 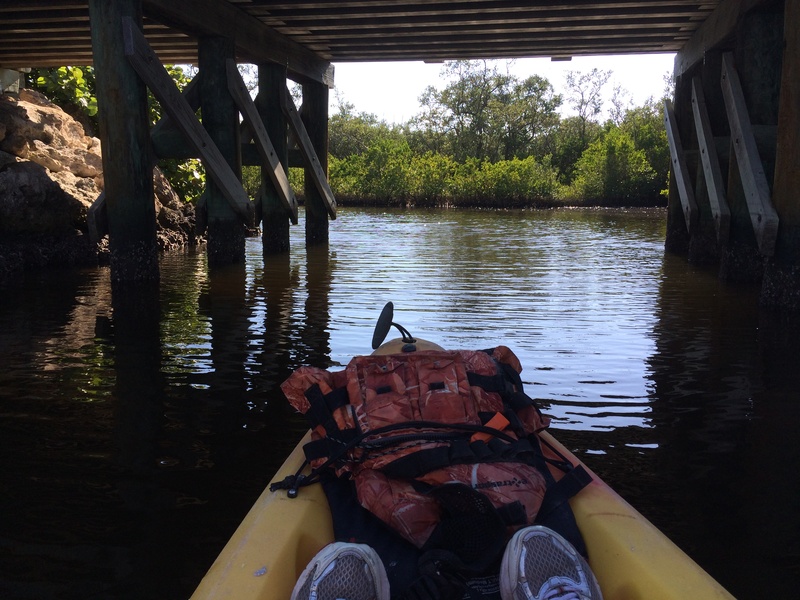 Last bridge before we enter the Mangroves again. 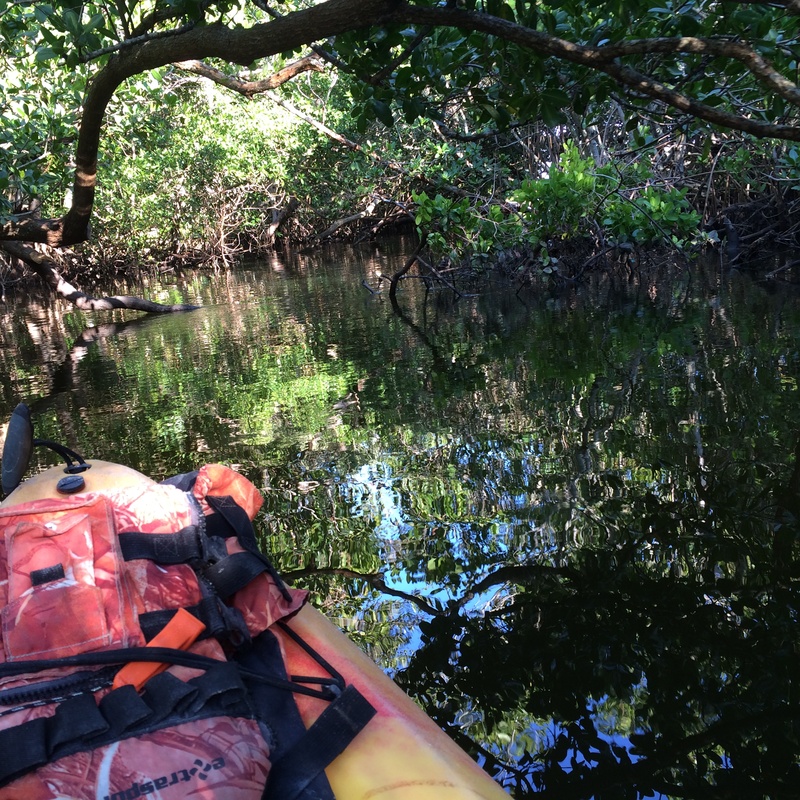 At times the mangroves were difficult to maneuver through. We packed a lunch and enjoying the peacefulness was just the enticement we needed to pursue purchasing our own. 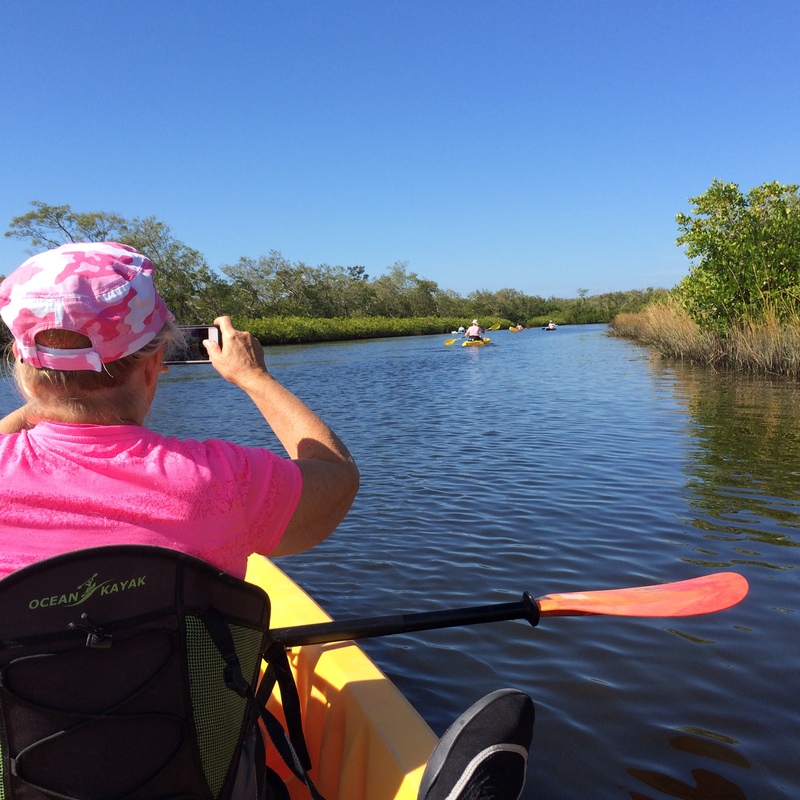 We took a ride to another preserve and found a booklet on all the waterways for canoeing and kayaking trails of Manatee County. 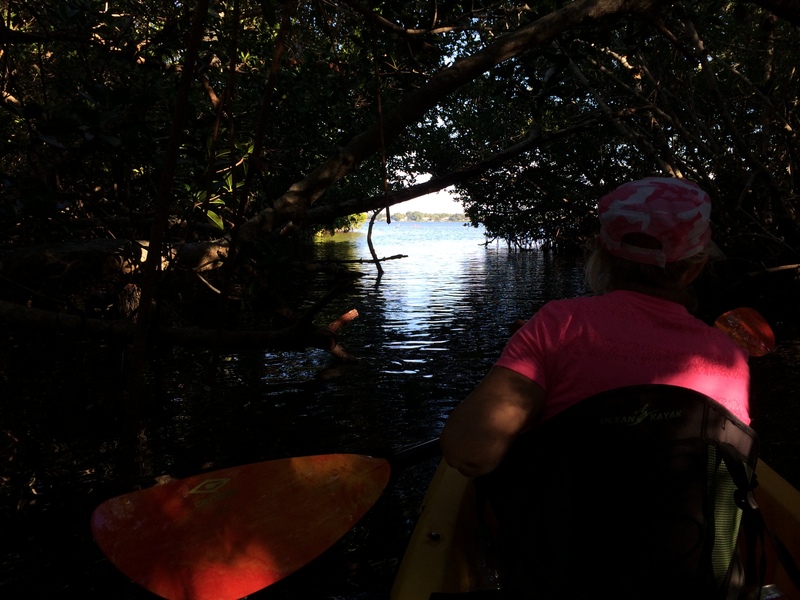 There are over 75 miles both fresh and salt water to explore and some open waters. 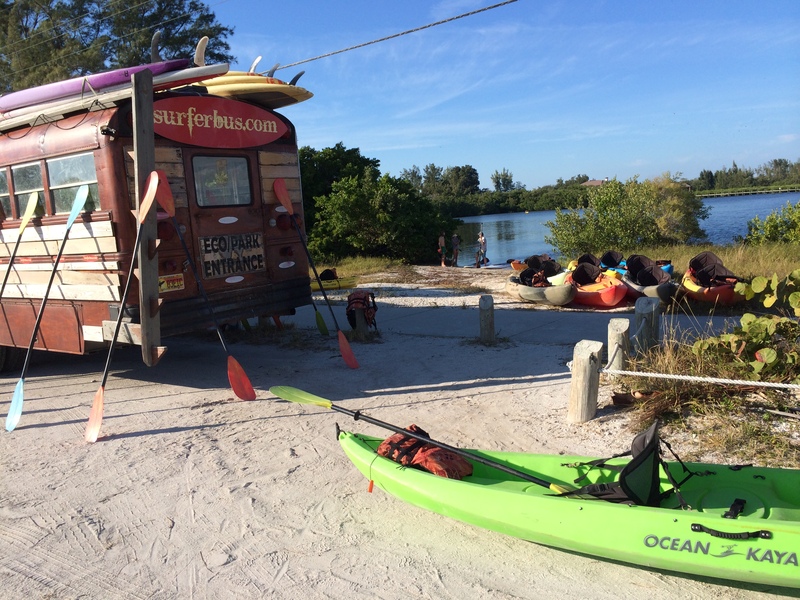 We’re not quite ready for open water yet but hopefully we’ll get strength in our tired arms to attempt a little more difficulty soon. 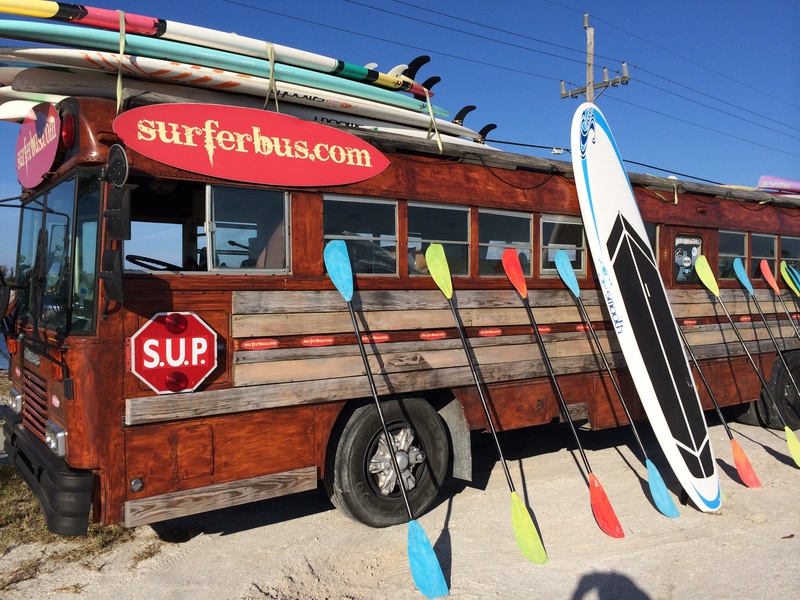 If you have a chance (our RV peeps in the area) do it! It was a great beginner experience. Glad to see your making the best out of your retirement. I really enjoy your trips too!! anything either of you would like to do. Marge we bought an inflatable Sea Eagle 370 Kayak soon after our first trip. Let us know when you get here.